Groups & Activities are the life blood of all U3A branches. New suggestions for activities are always very welcome, just have a chat with Linden Martin our Groups Co-ordinator. Either click on her name here or use the 'Bird' link in the right hand column to send Linden a message. If you include your telephone number she can ring you back. Groups – Time and Date, Click the BOLD text Link below to view more details. We do advice that any new members who are interested in joining a group make contact with the Group Contact to confirm a place is available and the date of the next meeting. This can be done by the 'Bird' link on each group page. If you are a Group Contact have a look at the 'All Group Contacts' information via the top link in the right hand column. This will give you an outline of how to keep group members informed by updating your group web page and there is a direct link to the Site Builder login page. If you want to start a new Group do email or have a chat with Linden, our Groups Co-ordinator. Please remember that as a Group Contact you are only part of your group and not expected to lead it. All members of a group should be involved in how it is organised, so don't feel overwhelmed - we are all here to help! Our U3A Newsletters are available via the links on the right hand column. 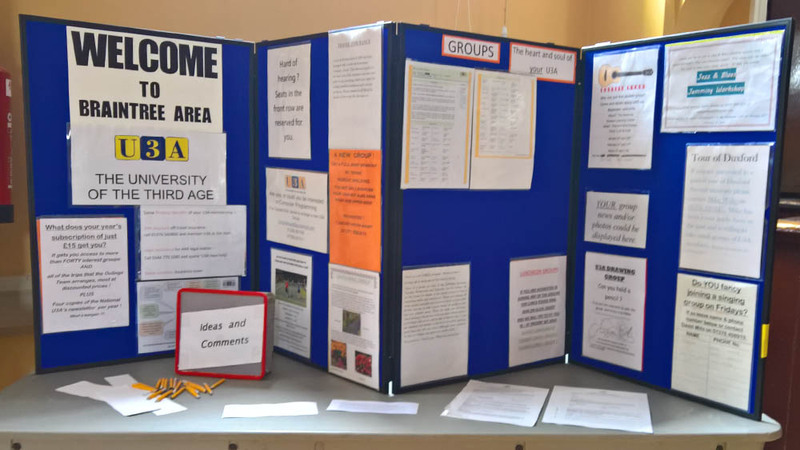 You will see articles on different group activities, if you are new to U3A it might give you a good idea of what groups provide for their members. In line with the new General Data Protection Policy we no longer include the Group Contact's telephone number in our web copy of the Newsletters, but you can either use the 'bird' link on the group's page to send an email or refer to your membership booklet. Also new under GPDR is that photographs are classified as personal data, so if group photographs are being taken members should be asked to step out of shot if they don't wish to be in a photograph that might be shown on our website.